FORMER GARDA COMMISSIONER Nóirín O’Sullivan has told the Disclosures Tribunal that she “didn’t trust” former garda press officer David Taylor or feel comfortable in his company. O’Sullivan was giving evidence again at Dublin Castle today, after initially appearing for a number of days on a separate facet of the inquiry in January. She’s back again because it has been the evidence of Superintendent David Taylor that she was aware of a smear campaign being directed against McCabe in 2013 and 2014 by then-commissioner, and her then-boss, Martin Callinan. Furthermore, it has been claimed by two TDs, a journalist and the Comptroller and Auditor General that Callinan disparaged McCabe to them during conversations around this time. O’Sullivan said today that she had no knowledge of what was said in these conversations, and didn’t hear anyone discuss the 2006 allegation against McCabe prior to 2015. She also said that she was “surprised” that Taylor was appointed head of the garda press office in 2012, because of his experience to date at that time. Taylor was transferred from the Garda press office to the traffic section in June 2014, shortly after O’Sullivan became garda commissioner. “I did not trust Superintendent Taylor. I did not feel comfortable in his company,” she told the tribunal. I would have to have implicit trust in the press officer and I did not have that in Superintendent Taylor. O’Sullivan said that she did not believe Taylor was doing a good job “managing the relationship with the media, and in fact it was the media managing the relationship with the garda press officer”. Questioned by Michael McDowell SC, who represents McCabe, O’Sullivan said she had not spoken to others about rumours of abuse allegations against McCabe, and was not the kind of person who engaged in “idle chatter or idle gossip about individuals”. O’Sullivan said that had she read correspondence from assistant commissioner Kieran Kenny regarding a Tusla notification in May 2014, she “would have directed Mr Kenny to meet with the HSE and to clarify the issue beyond any doubt”. The Tribunal has previously heard how a Tusla notification, containing incorrect allegations from an unrelated case, was wrongly included in a file about McCabe. “If that had been brought to my attention or I had read it, it would have resonated with me that it was entirely different to the 2006 allegation,” O’Sullivan said. The DPP directed no prosecution following a garda investigation into a complaint from the alleged victim, Miss D, in 2006. O’Sullivan said it was “completely untrue that Superintendent Taylor ever briefed me one to one or in any way in relation to any strategy”. O’Sullivan was asked about Martin Callinan’s attitude to garda whistleblowers. Her reply was very similar to what Callinan himself told the Tribunal last week. She said her “overall impression and observations” were that Callinan was very concerned with the issues Maurice McCabe was helping to bring to the public domain and the impact it could have on the organisation. O’Sullivan was also asked about discussions around McCabe’s motivation. Prior to the gardaí appearing at PAC about the penalty points scandal in January 2014, senior figures from the gardaí held a number of meetings to prepare. O’Sullivan was one of these figures. She was shown notes from a number of attendees at those meetings that referenced the 2006 allegation of sexual abuse against McCabe, that he was exonerated of. O’Sullivan told the Tribunal that she had “no recollection of these matters being discussed” in her presence. O’Sullivan was also asked about the allegations made against Callinan on what he said about Maurice McCabe before and after that PAC meeting in January 2014. Just to recap, Fine Gael TD John Deasy, Fianna Fáil TD John McGuinness and Comptroller and Auditor General Seamus McCarthy have told the Tribunal that Callinan gave them various warnings about McCabe. McGuinness, in particular, has said that the former commissioner referred to McCabe as a “kiddie fiddler”. She also denied any knowledge of what transpired at the car park meeting too. This is the infamous car park meeting at Bewley’s Hotel where Fianna Fáil’s John McGuinness has claimed Callinan made very disparaging remarks about McCabe having abused members of his own family. O’Sullivan said today that she wasn’t consulted about it and no one mentioned it to her afterwards. 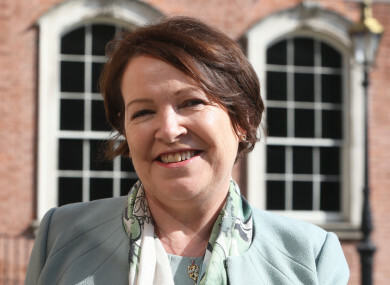 A Tusla referral was made to the office of Nóirín O’Sullivan, shortly after she became acting commissioner in May 2014. O’Sullivan – through a previous role in human resources management in the gardaí – was made aware in 2008 of the original allegation against McCabe. This Tusla referral contained a far more serious allegation of digital penetration, which found its way onto the file due to an error. It has been the evidence of her personal secretary at the time that he brought O’Sullivan’s attention to the document. She added that she didn’t agree that McCabe was “making trouble” for An Garda Síochána, and that he was raising legitimate issues. O’Sullivan will finish evidence tomorrow, with a host of journalists, and Labour leader Brendan Howlin, also due to give evidence tomorrow. Email “O'Sullivan says she 'didn't trust' David Taylor and was 'surprised' he got top press office job”. Feedback on “O'Sullivan says she 'didn't trust' David Taylor and was 'surprised' he got top press office job”.